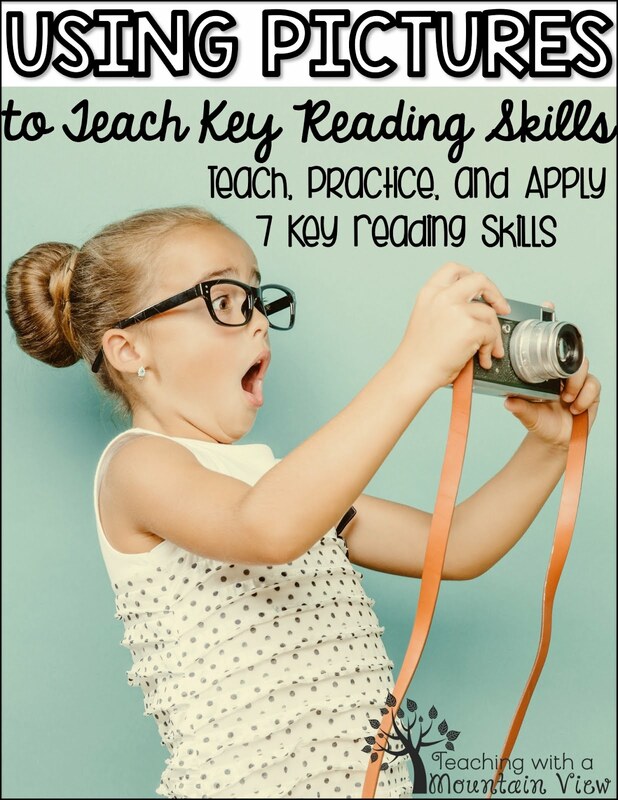 Unfortunately, the list isn't as big as I would have hoped--but that's only because there is a MAJOR lack of resources for this tough Common Core (and other standards, too) skill! 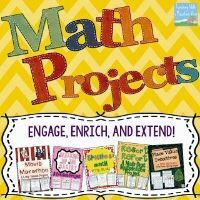 Most of what you will find here includes ideas for teaching line plots with fractions, but I have included other, more basic ideas to begin your unit. Let's get started! Money! Money can be applied to so many things. 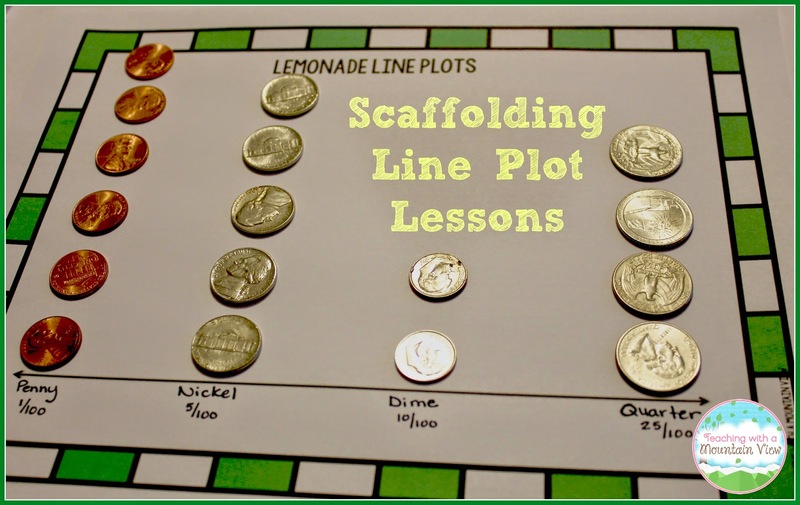 I created this little lemonade stand activity for students to begin working with line plots. They each get a bag of coins (if you want to use whole numbers, you could throw some dollar bills in, too) and sort them out. They create a "line plot" using the money, then transfer it into a true line plot with Xs and fractions. Simple and fun, and it is a quick way to show students the bones of a line plot as well as give them a way to remember that each X stands for a piece of your data. You can download the instruction page for free HERE. 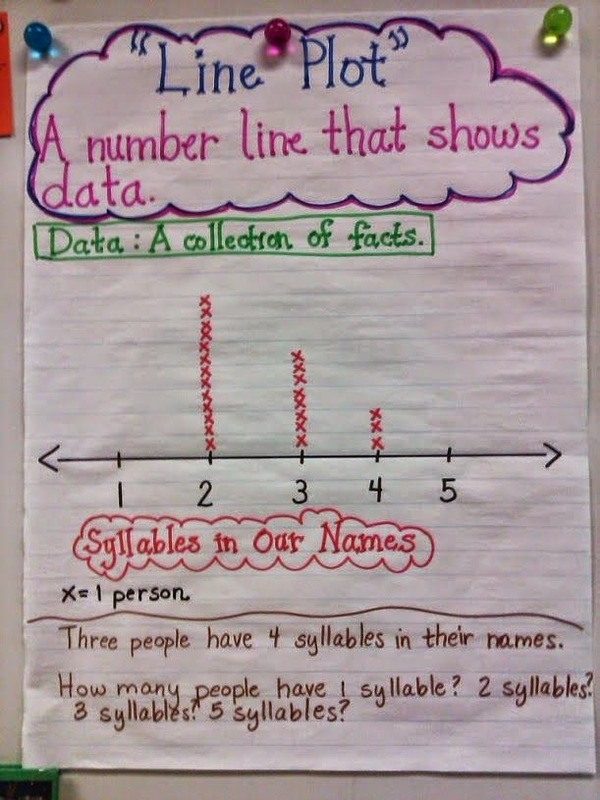 After this introductory activity, create a class line plot anchor chart together. Here's an example of one with fractions, but there are some other great ones with whole numbers that are a great starting place, especially for 3rd and 4th graders. Again, it's not secret that I'm a huge fan of using interactive notebooks. They are such a great tool for recording and organizing notes and making learning interactive at the same time. 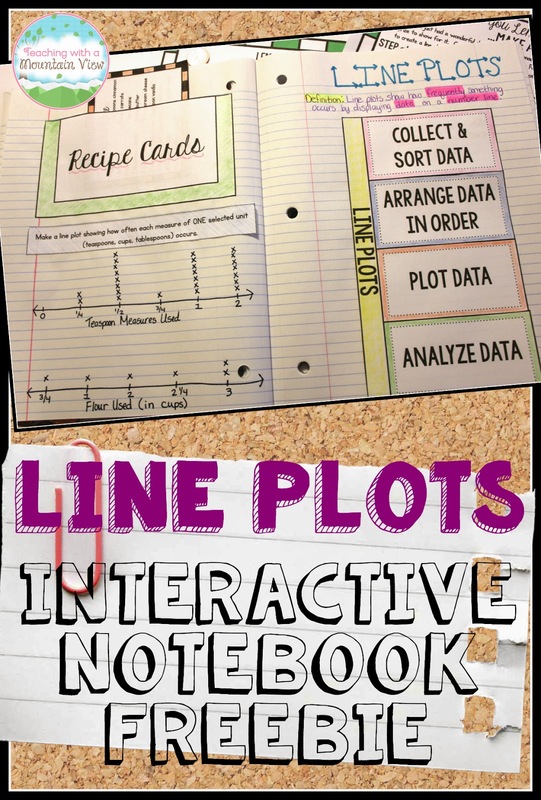 Here is the line plot interactive notebook I came up with. On the right hand side, we wrote a definition (the same one that is on the anchor chart above). The foldable is used to show the process of making a line plot. On the left hand side, students were each given 6 recipe cards and a prompt. They use the recipe cards to create several line plots. 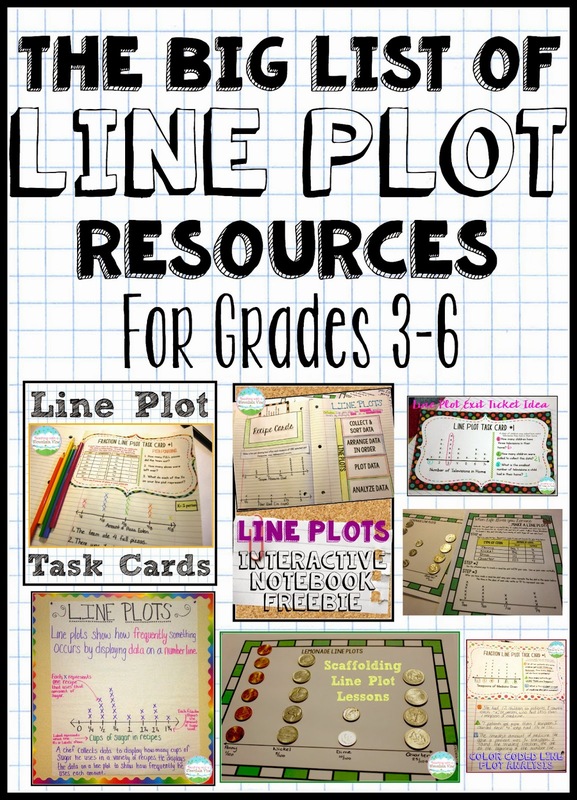 There are TONS of options for creating different line plots using the recipe cards! You can download the templates for this two-page spread and the recipe cards for free HERE. 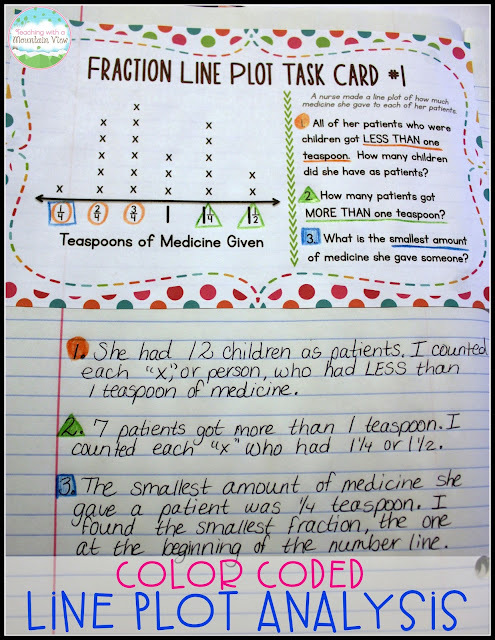 The Teacher Studio has an excellent post about three hands-on math stations she used with her kids while teaching line plots. I highly, highly recommend you pop over and check them out! 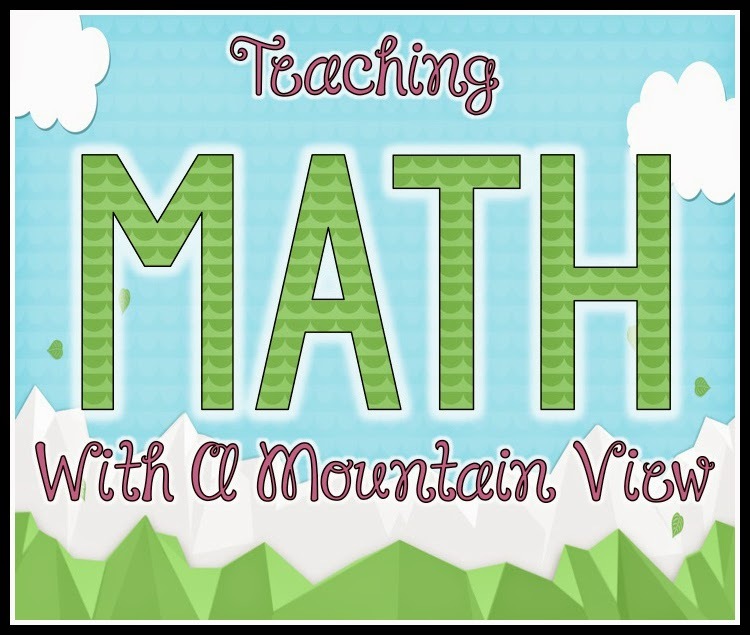 What's better than getting kids up and moving to teach math concepts? Here's another great idea from Third Grade Thinkers using a fun game and plotting the results! 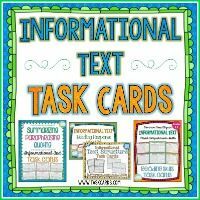 Now, what would a Teaching With a Mountain View unit be without some task cards? When I decided I was going to create line plot task cards, I had no idea how time intensive it would be, but they are done and here! 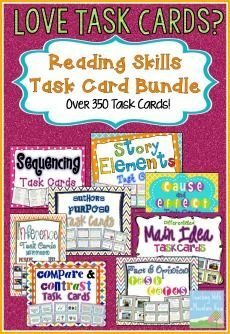 They are half-page differentiated task cards and have tons of uses. 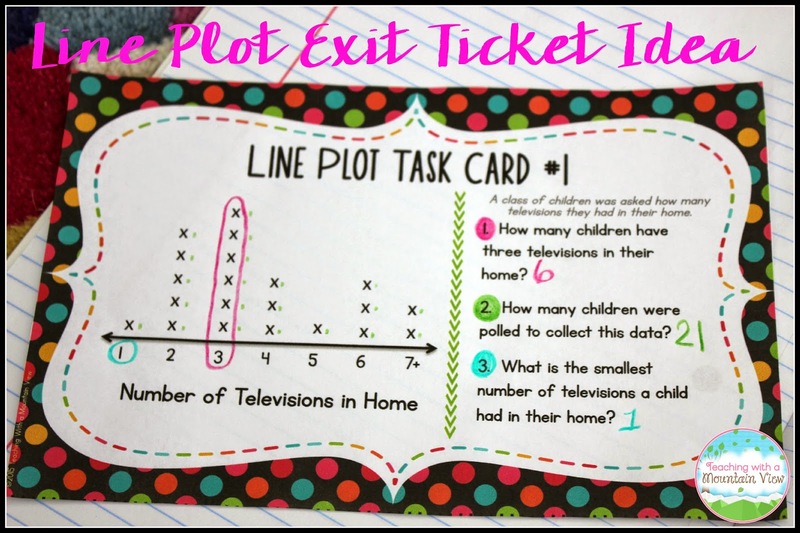 There are actually three mini-sets within this set of line plot task cards. The first ten analyze line plots using whole numbers. The second set analyzes line plots using fractions, and the final ten require students to generate line plots. 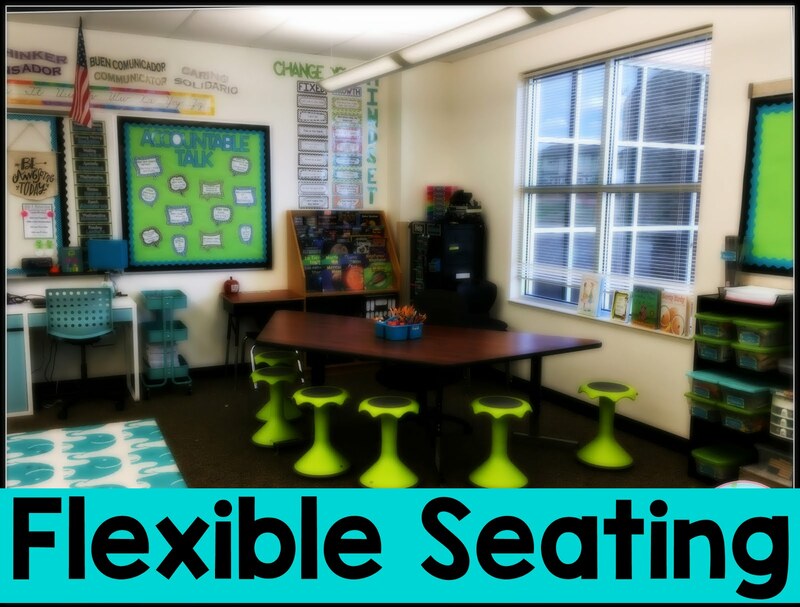 They are perfect for differentiating or scaffolding instruction! 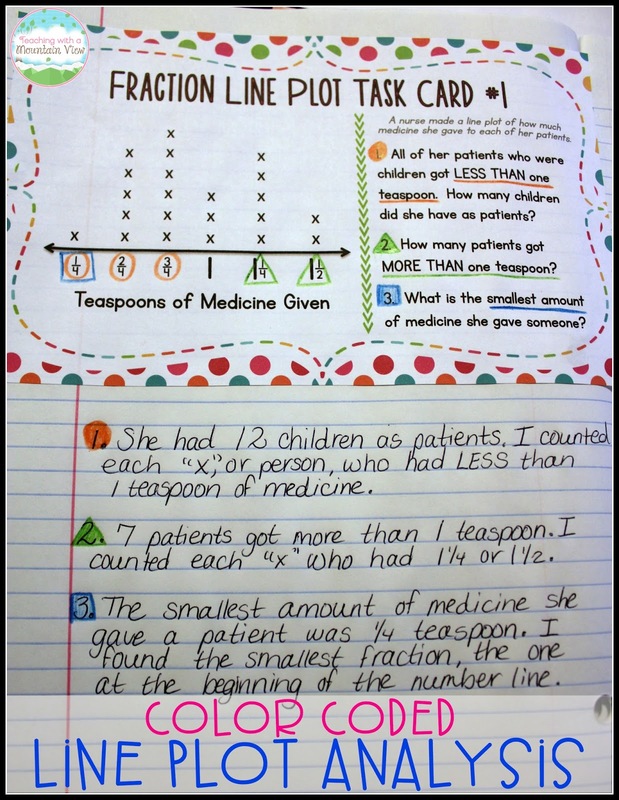 Here is a sample o how to use the line plot task cards with colors. The students not only answered the questions with evidence (evidence isn't just for reading! ), but they also color coded important words in the questions and then circled their answers/proof WITHIN the line plot. 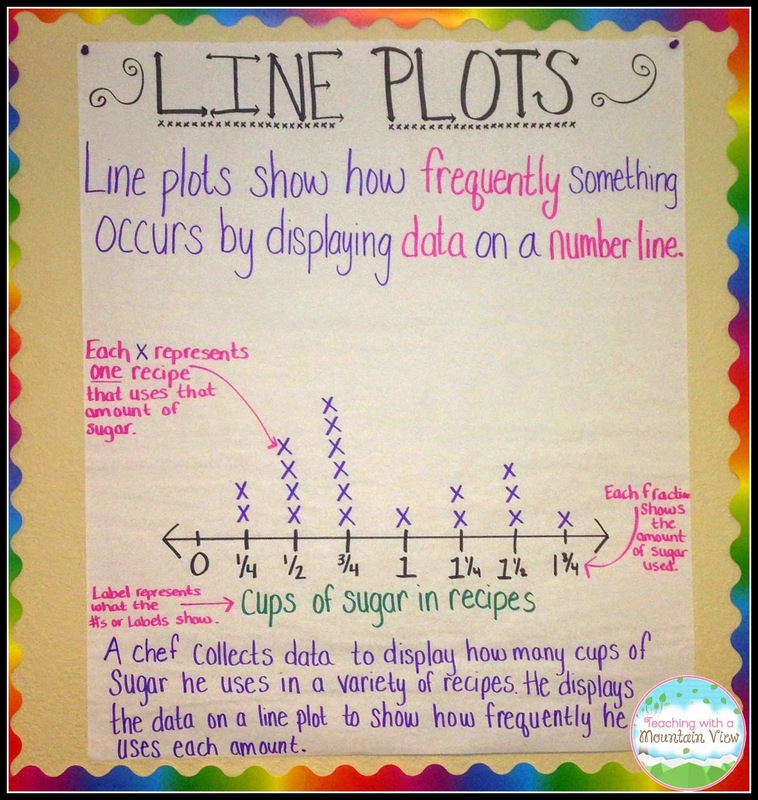 This is a great way to get kids to show understanding of line plots. 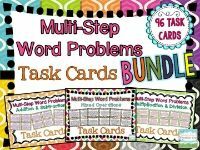 The first set of task cards that uses whole numbers is perfect for use as an exit ticket, daily warm up, center work, etc. In this example, each student receives the same exit ticket (they print wonderfully in black and white, too) then color-coded their answers and wrote them directly on the card. In this last example, the student generated a line plot using data from the card. 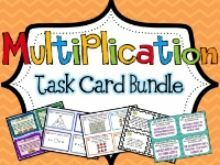 This time, however, the task card is in the interactive notebook and can be used as a reflection, an assessment, or extra practice. 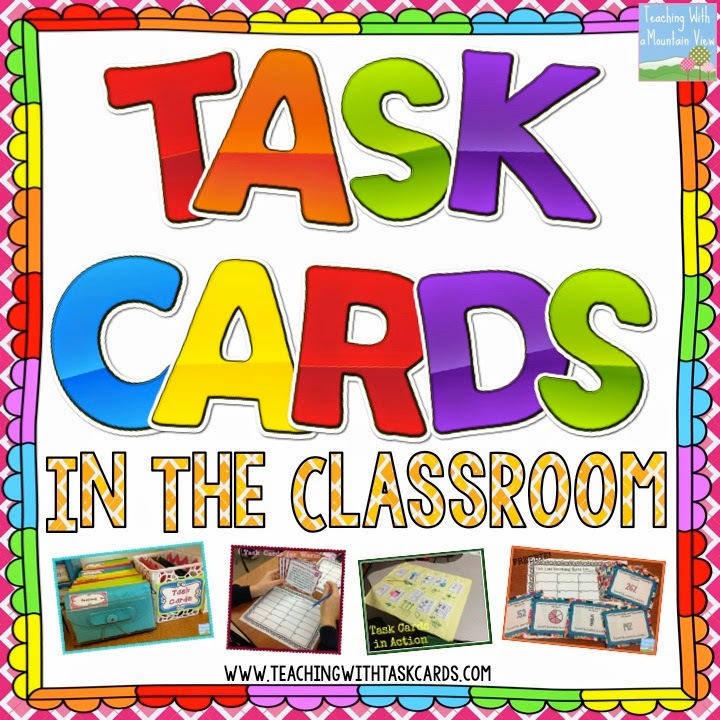 Again, there are SO many possibilities with these task cards! You can send a card home for homework, have students do one or two each morning for morning work, remediation or intervention. 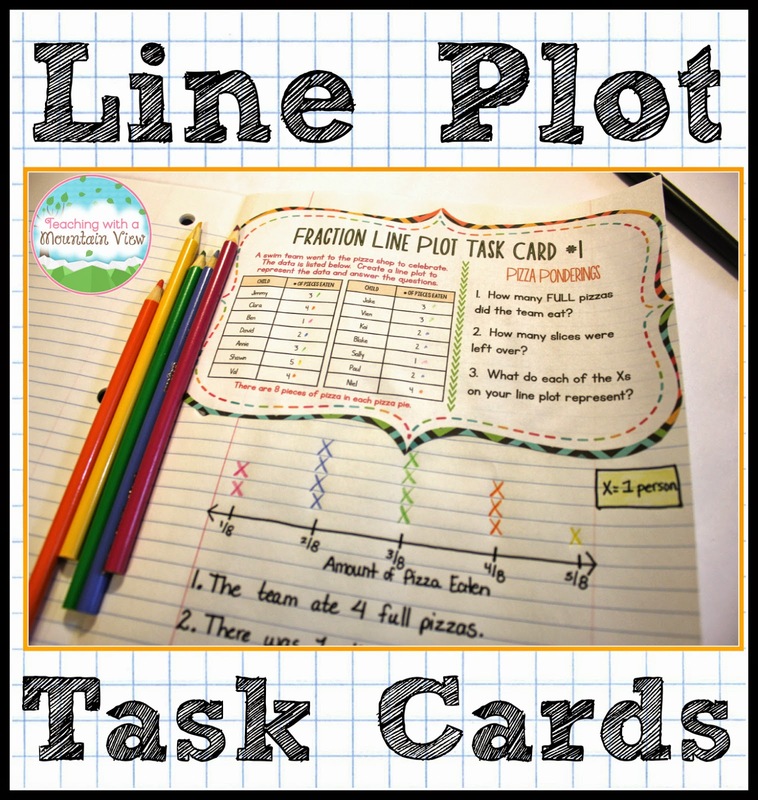 The Line Plot Task Cards are available for purchase at my Teachers Pay Teachers store HERE. 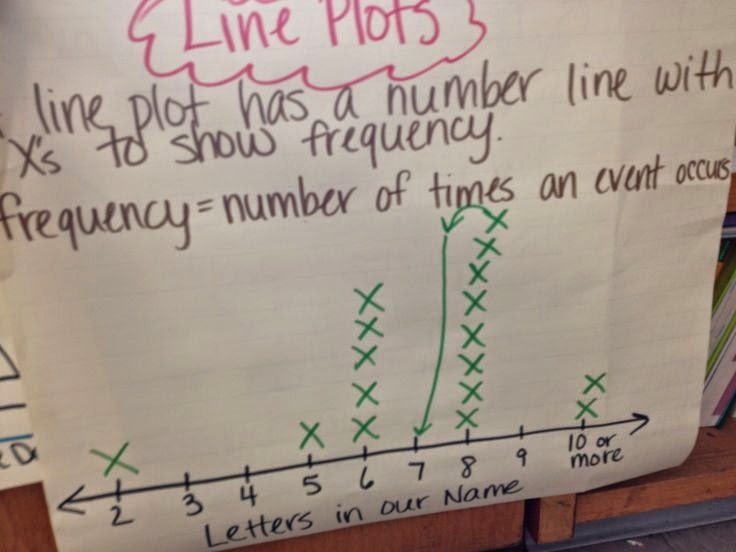 Here are even more excellent ideas for teaching line plots. Be sure to click on each picture to be sent to the site with the original idea for even more information. This idea originated from The Education Center, but it's not live on the site anymore. It is pretty self-explanatory. Students bring in bags of pennies and they plot the decades in which they were made. Fun! Here is an idea from Tales from a Fourth Grade Math Nut. They built aluminum foil boats and recorded how many pennies it took to sink them! 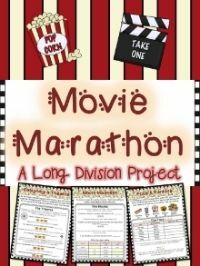 We do this activity with our Titanic unit, so it would be a great tie in, too! The Math Maniac had students measure pencils (which I also happen to have a data set for in my line plot task cards...great minds think alike, I supposed!) and plot their lengths. This is great for taking the standard a step further and including measurement. 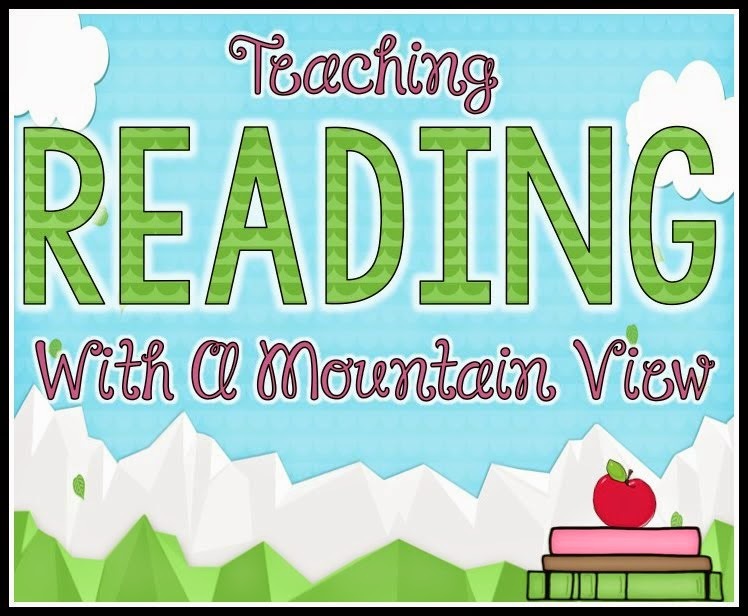 If you have a great line plot lesson, let me know in the comments or by shooting me an email! 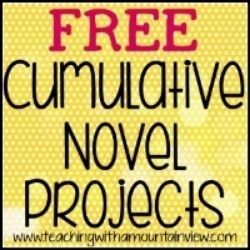 I would love for this collection to grow so that teachers have even MORE resources for this tricky topic. Happy Teaching! Amazing - we just made line plots with the lengths of our pencils! I LOVE line plots - great post! Your blog is always a gold mine of ideas! Thank you!!! Thanks so much for sharing your brilliant ideas. My 5th graders were still stumped after the lesson today with fractions and line plots. Can't wait to use some of these ideas tomorrow. 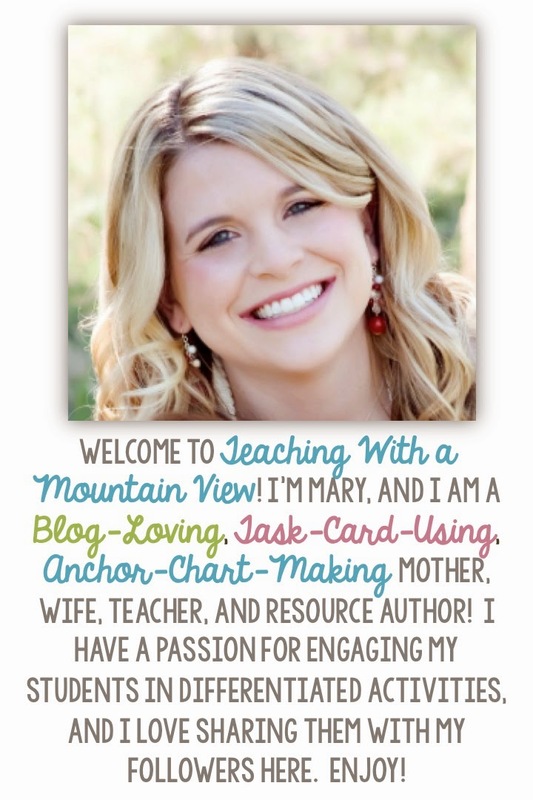 So happy I stumbled upon your blog! Line Plot resources are limited... GRR! But I am going to do the pennies of a decade activity tomorrow. Last week I did the water bottle flip challenge and made a line plot of the results. CLUTCH for pumping up a Monday!